Chelsea want a world-record fee in excess of £200million if they are to sell Eden Hazard this summer. 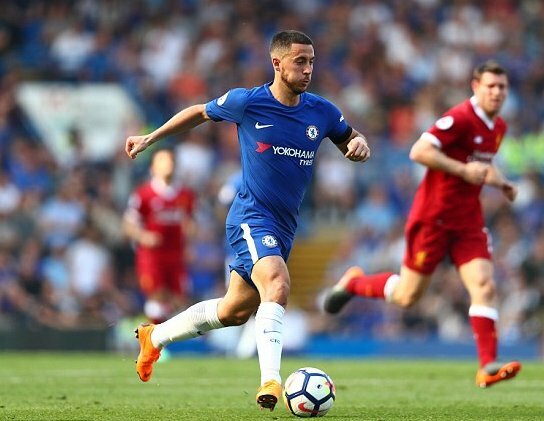 Real Madrid remain the favoured destination for Hazard but Chelsea will not sell their star man cheaply and know the price tag will act as a deterrent at this stage of the window. Hazard he is not pushing for a move and Chelsea head coach Maurizio Sarri is keen to work with him and Willian, who has missed out on a move to Barcelona. However, there is growing concern that the Belgian will not extend his contract at Stamford Bridge. He has two years remaining on his current deal but has stalled on signing new terms worth £300,000-a-week. Chelsea will also have to determine their goalkeeping situation once Real Madrid target Thibaut Courtois returns from holiday. Alarmingly, Courtois has just one year left on his contract and talks have not restarted since breaking down in May. They would like Everton’s Jordan Pickford as his replacement but Everton have no desire to sell and will consider a new contract for their England international. Chelsea are continuing talks with Juventus for defenders Daniele Rugani and Matteo Caldara. They remain keen on Gonzalo Higuain but face competition from AC Milan, who like Chelsea pair Alvaro Morata and Tiemoue Bakayoko. Morata is likely to leave should Higuain arrive, which would allow for a three-way deal where by Milan back away from the Juventus striker in order to get their hands on the Spaniard.